But for divine intervention, it would have been a different story for thousands of worshippers at Winners Chapel church, Bishop David Oyedepo's Living Faith Christian Centre. It was indeed a scary incident. Already, the men of the Nigeria Police Force in Imo State have arrested six suspects over the discovery of two deadly Improvised Explosive Devices in a Winners Chapel church in Owerri, state Commissioner of Police, Mr. Abdumajid Ali, has confirmed. “I was about getting ready for the second service when a friend posted this 'Breaking News!!! 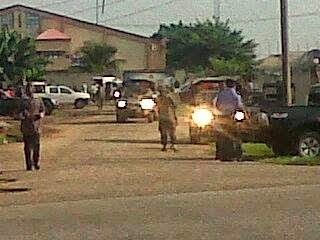 Police Anti Bomb squad has just detonated two bomb explosives planted at Winner Chapel PH road Owerri. A worshipper in the church, Onumara Onyekachi, told also confirmed the incident to Premium Times.